Just read that the Bredolab botnet author was sentenced to 4 years in prison in Armenia. 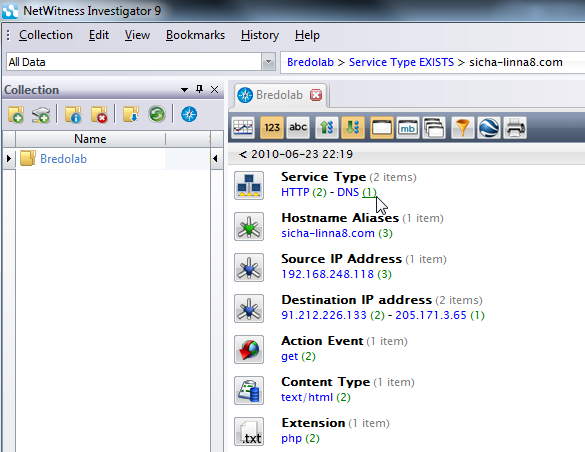 In July 2010, when Bredolab was in it's heyday I used Netwitness Investigator to do analysis of a Bredolab-infected host. In honor of Georgy Avanesov's arrest, following is a reprint of the resulting toolsmith article. Bredolab samples and PCAPs available upon request via email or @holisiticinfosec. Netwitness is now in version 9.7.5.4, so some of the guidance and how-to herein may have changed. As I write this month’s column I’m on a plane returning from the 22nd Annual FIRST Conference in Miami. As always, in addition to a collection of the world’s finest computer incident response teams, there were a select number of vendors. I will be honest when I admit that I typically avoid conference vendor booths unless the swag is really good, but some of my favorites were in attendance including Mandiant and Secunia. When I noticed the NetWitness booth I was reminded of the suggestions I’d heard suggesting NetWitness Investigator as a toolsmith topic. During Robert Rounsavall’s FIRST presentation, Forensics considerations in next generation cloud environments, he made mention of the fact that the Terremark teams make use of NetWitness offerings on their high throughput network capture platforms. Incident responders, network analysts, and security engineers typically can’t get enough of good network capture tools; the reminder triggered by the NetWitness booth presence clearly indicated that the time had come. 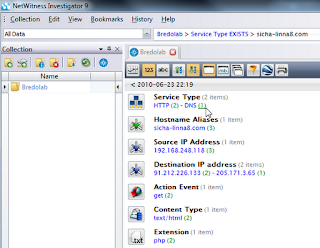 Specifically, NetWitness Investigator is part of a suite of products offered by NetWitness that are designed to capture network traffic and use the resulting data for business and security problem analysis. Others include Administrator, Decoder, Concentrator, Broker, Informer, and the NwConsole. Most NetWitness applications are commercial offerings, but Investigator is freely available and quite useful. Installation is point and click simple. Accept defaults or modify installation paths as you see fit. You will need to register the Computer ID generated for the host on which you’re installing that is generated as part of the license key. Provide a valid email address; you’ll be sent a link to activate your installation for first use. Welcome page. If you prefer otherwise select Edit, then Options, and uncheck Automatically Check for Updates as well as Allow Investigator to Reach Internet. If you don’t have WinPcap installed you will be prompted to do so; WinPcap 4.1.1 is bundled with the installation package. Under View be sure to enable the Capture Bar as it will present a Capture icon and Collection selector at the bottom of the NetWitness Investigator UI. You can also pre-define the interface from which you’d like to capture via the Options menu as described above. The NetWitness Investigator (NI) Welcome Page provides useful FAQ; read it as you get underway. NI allows you to either capture data directly from the host network interfaces, including wireless adapters, or import network captures from other sources and its use is built around Collections. 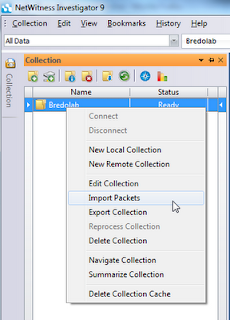 The free version of NI doesn’t offer Remote Collections as they are specific to retrieving data gathered by other NetWitness commercial offerings. That said you can create Local Collections. Ctrl + L will pull up the new Local Collection UI, you can also click Collection, then New Local Collection from the menu bar or click the create icon from the Collection toolbar. I called my collection bredolab (you’ll learn why shortly) and will refer to it hereafter. Once you create a collection right-click it then connect to it. You know have two options, capture or import. To capture, use the Capture Bar, select the already-created Collection or create a new by collecting the Capture icon first. Once you click the Capture icon NI will capture network data until you click the Capture icon again to halt the process. 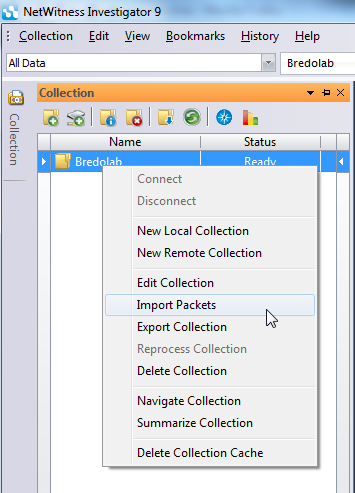 Right-click the already-created Collection to add data via the Import Packets options. Select a PCAP file from your local file system, and click Open. I worked primarily with imported PCAPs, though testing NI’s capture capability proved successful. I did find that in resource-limited virtual environments capturing network traffic with NI causes fairly significant VM grind. As I was testing NI in the toolsmith lab a golden opportunity to put it though its motions presented itself via the SANS ISC Diary. The Lenovo support site had been discovered to be compromised and propagating the Bredolab Trojan via an embedded IFRAME. As I had literally just been to the Lenovo site to update my laptop BIOS (I had not experienced the malicious behavior) I was pleased with the near real-time relevance and the opportunity to check NI against a new sample. The CyberInsecure article called out the exact malware URL that the IFRAME pointed to (hxxp://volgo-marun.cn/pek/exe.exe) so I grabbed it immediately via my malware sandbox VM. 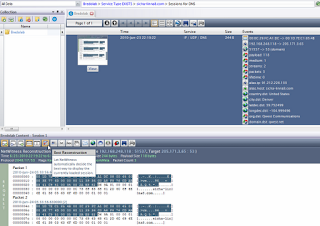 After firing up Wireshark on my VM server, I executed exe.exe (great name) and captured the resulting traffic. I imported the resulting bredolab.pcap (email me if you’d like a copy) into NI and compared results against details provided in the Lenovo compromise article. While this is a really small PCAP it serves well in exemplifying NI features. Validation: Check. 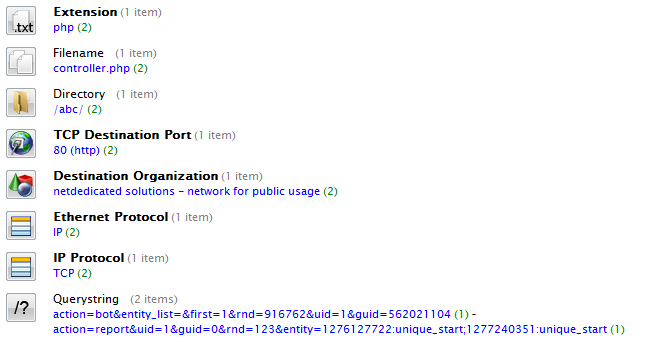 Right out of the gate we can see sicha-linna8.com as part of the Collection Navigation view, under Hostname Aliases. Left-click the hostname alias result to drill into it. Right-click it to evoke bonus functionality such as SANS IP History, SamSpade, and CentralOps. Drilling in the Hostname Alias entry reduces the Service Type findings to just HTTP and DNS traffic which is useful as they are the primary services of interest with this sample. As seen in Figure 2, we can drill further into the single referenced DNS session. The resulting Session view, using the Hybrid option, shows us both a thumbnail view and session details. Further Content options are presented in the lower pane with additional functionality such as, were it relevant, rebuilding instant messaging (IM) and audio, as well as mail and web content reconstruction. The Best Reconstruction option is tidy; it organizes into the three packets for the DNS session represented as the two request packets (as hex) and the response from server. 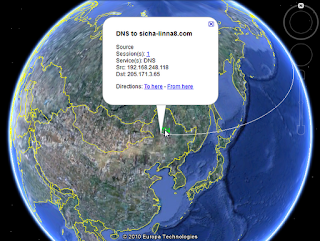 You can make use of Google Earth as well, if installed. But be sure to default your private IP addresses to your local latitude and longitude. As if we hadn’t already imagined or determined it so, sicha-linna8.com is attributed to the Russian Federation (RU). Click the Google Earth icon in the Session view. Satellite imagery does a fair job of bearing that out, although, but unless I’m mistaken Figure 4’s reference pointer looks to be more like China. Now, I’m just being silly here, but again NI justifies my being so with its capabilities. 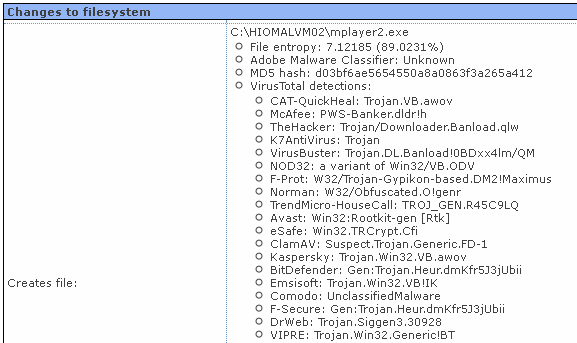 As mentioned above, the malware “receives commands from C&C server”. Hmm, that sounds like a bot. Duh, ok Russ, prove it. 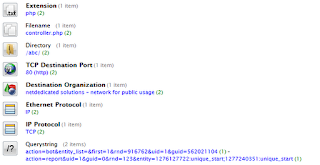 Navigate back to the Collection summary via the URL window, scroll down to the Querystring reference and click [open]. See, I told you so. That would be the HTTP GET equivalent of calling home to the mothership and requesting mission orders. As if action=bot and action=report weren’t enough for you, the fact that the Filename reference in Figure 5 is also controller.php really help you reach a reasonable conclusion. By the way, Trend Micro’s Bredolab summary (not specific to this sample) will give a good understanding of its behavioral attributes, but there should be no surprises. There are endless additional features including the use of breadcrumbs to help you leave a trail as you navigate through large captures, excellent reporting capabilities, as well as the ability export sessions to a file (PCAP, CSV, XML, HTML, etc.) or a new or different collection. If you click Help, you’ll be offered the 168 page NetWitness Investigator User Guide, which will do this tool far more justice than I have. Consider it required reading before going too far down the rabbit hole on your own. There’s much more that I could have covered for you regarding NetWitness Investigator, would time and space have allowed it, but hopefully this effort will get you cracking with this tool if you haven’t already partaken. NetWitness Investigator is really slick and I’m pleased enough with it to declare it a candidate for the 2010 Toolsmith Tool of the Year to be decided no later than January 2011. On April 10th, 2012 a new version of Sandboxie was released, and on April 16th so too was a new version of the Buster Sandbox Analyzer which uses Sandboxie at its core. Voila! Instant toolsmith fodder. It’s been a few months since we’ve covered a malware analysis-specific tool so the timing was excellent. 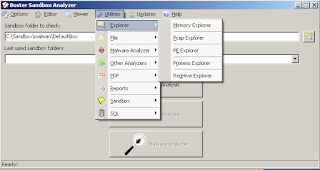 Buster Sandbox Analyzer is intended for use in analysis of process behavior and system changes (file system, registry, ports) during runtime for evaluation as suspicious. You’ll find it listed among the Sandbox Tools for Malware Analysis on one of my favorite Internet resources, Grand Stream Dreams. As always, I pinged the developer and Pedro Lopez (pseudonym) provided me with a number of insightful details. 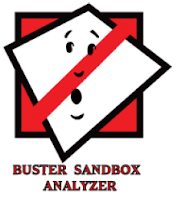 He releases new versions of Buster Sandbox Analyzer on a fairly regular basis, version 1.59 is current as I write this. There’s an update mechanism built right into BSA; just click Updates then Check for Updates. Pedro has recently improved static analysis and he’s always trying to improve dynamic analysis as he considers it the most important aspect of the tool. For future releases the TO-DO list is short given over two years of constant development. • A feature to analyze URLs in automatic mode. • Utilizing the information stored in the SQL database, a feature to generate statistics including used compressors, detected samples, and others. Pedro continuously looks for new malware behaviors to include and improvements for the features already implemented. Your feedback is welcome here, readership. Pedro was first motivated to create the tool thanks in large part to Sandboxie. 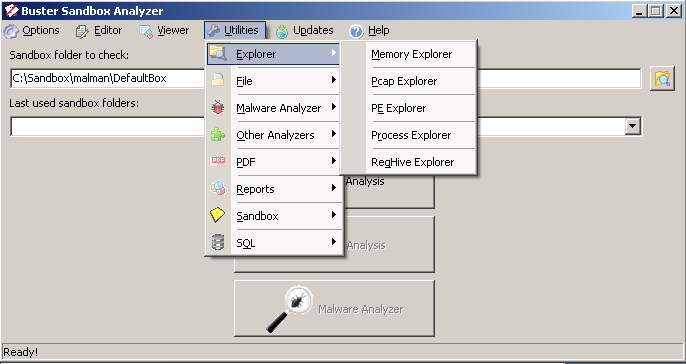 “Before I start coding Buster Sandbox Analyzer back in late 2010, I knew of Sandboxie already. I started using this great software around 2008 and had coded other utilities using Sandboxie as a file container so I knew already of the potential to write other types of programs for use with Sandboxie. 1. Use the tool to know what files and registry modifications were created by a program. While this use case is not always directly related to malware analysis, it can be used by any user that wants such information regarding program behavior. 2. Use the tool to learn if a file (executable, PDF document, Word document, etc) exhibits malware-specific behavior. Pedro reports that Buster Sandbox Analyzer suffers from a lack of user feedback (help change that!). The program logs were literally laced with created events, DNS queries to Russia, and many hidden processes. Needless to say, I kept it in the sandbox." One message to convey to you, readers: a few versions ago Pedro introduced multi-language support; there are translations for next Spanish, Russian and Portuguese (Brazil) while a translation to German may be available soon. He would like to have translations for Italian, French, Japanese and Chinese and would be grateful if someone can contribute translations for these languages. Given the likelihood that this article will be read by security professionals, Pedro welcomes anyone who tries out BSA and has suggestions, ideas, feedback, bugs, etc. to send them to his attention at malware dot collector at gmail dot com. Even more importantly, this assumes you’ve installed BSA in C:\bsa. If you choose differently, you must modify the Sandboxie configuration file accordingly. Avoid the Program Files directories on later versions of Windows given the need for administrative permissions to write there. I’m a big fan of Windows shell integration with any tool that offers it. Under Options | Program Options | Windows Shell Integration select Add right-click action “Run BSA” and “Analyze in BSA”. Also set your Report Options from the Options menu. I prefer HTML; you may also select PDF and XML. You may also like the SQL options where you can write to a SQL database for analysis and report results. Be sure to check out the additional features under the Utilities menu including submittal to online analyzers, file tools including disassembly, hashing, hex editing, renaming, signature check, scanning, and strings. There are also “explorers” for memory, PCAPs, PE files, processes, and registry hives as seen in Figure 1. Experiment and fine tune your settings. To then remember settings and load them automatically when the tool starts, select Options | Program Options | Save settings on exit. You can also save multiple configuration files via Options | Program Settings | Save Settings As so as to make use of different analysis patterns. Lastly, and I imagine you knew I was going to say this, I run BSA in a Windows XP virtual machine and on a bare metal install of Windows 7 running SteadierState . 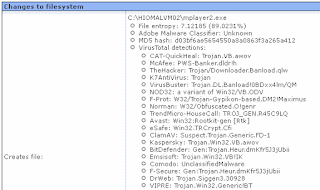 Some malware not only knows when its running in a VM but it knows when it’s running in Sandboxie. If you suspect that’s the case, you can hide Sandboxie during a BSA run via Program Options | Hide Sandboxie. I wanted to test BSA in two different capacities, one with a browser-borne exploit and one with a “normal” PE. hxxp:// www.ugpag.cd/index.php?option=com_content&view=article&id=49&Itemid=75 was no exception. To examine, I started BSA via bsa.exe in C:\BSA, tuned my BSA configuration to include some additional reporting options, clicked Start Analysis, right-clicked Internet Explorer and chose Run Sandboxed (given that Sandboxie is also integrated right into the Windows shell), and finally browsed to the ugpag.cd site. Once I willingly stepped through a few browser blocks (yes, I’m sure I want to do that), the “infection” process completed and I chose Terminate All Programs by right-clicking on the system tray Sandboxie icon followed by Finish Analysis in BSA. A few key elements jumped right out during BSA analysis and findings. 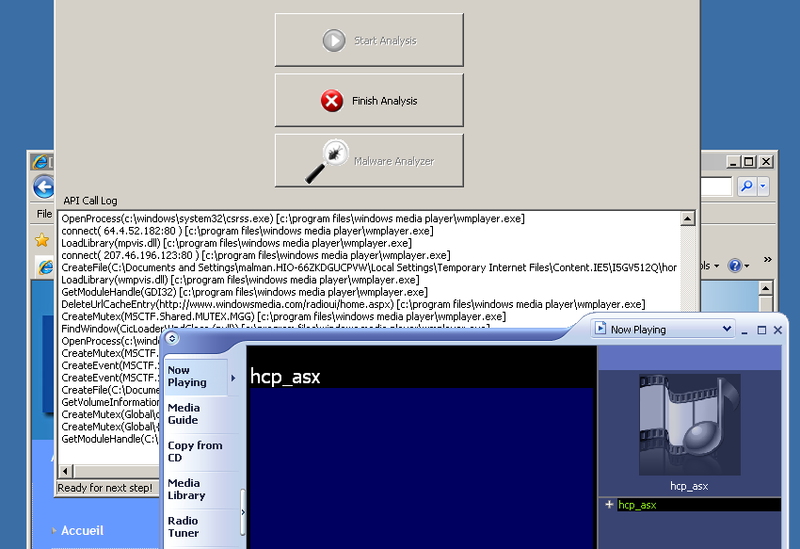 First, the site spawned an instance of Windows Media Player in order to “play” hcp_asx as seen in Figure 2. Second, when reviewing Report.html, I quickly spotted to evil URLs (lukastroy.in & zdravyou.in) under Network services. Also note the Process/window information as seen in Figure 3. A quick URLquery.net search for the URLs called gave me everything I needed to know. Yep, BlackHole exploit kit. That was easy. 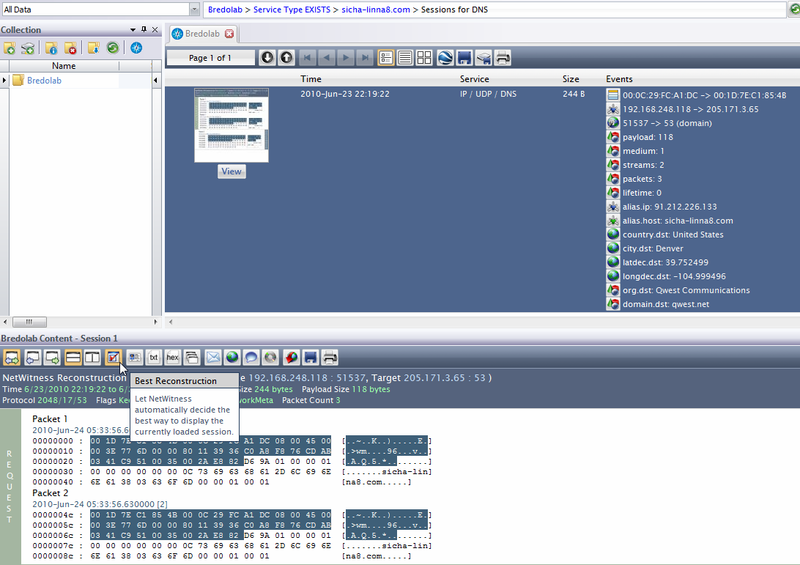 I used a Banload sample, (MD5: D03BF6AE5654550A8A0863F3A265A412) to validate BSA PE analysis capabilities. As expected, they were robust. The File Disassembler utility immediately discerned that the sample was UPX-packed. Figure 4 points out a number of revealing elements. Of interest is the fact that a connection is made to hxxp://alessandrodertolazzi.hospedagemdesites.ws (187.45.240.69) in Brazil and attempts to download mac.rar. Banload/Banker commonly originates from Brazil so this comes as no surprise. This sample is a bit dated so the evilware hosted on Alessandro’s site is long gone, but you get idea. If you optimize your BSA reporting options to include Virustotal results, the Changes to file system section will include all the detections for created files as seen in Figure 5. The opportunities for exploration are many with Buster Sandbox Analyzer and the fact that it’s free and regularly developed is of huge benefit to our community. Among the features you may find noteworthy and useful are BSA’s ability to BSA is able to automatically analyze a folder in a batch process as well as dump analyzed processes. BSA has moved to the top of my list for sandbox analysis, plain and simple. The combined strengths of Sandboxie and Buster Sandbox Analyzer make for a truly powerful combination and invaluable malware analysis platform. No reason for you to get started exploring right away. As always, do be careful playing with live samples and remember to provide feedback to the BSA project, your support is welcome.